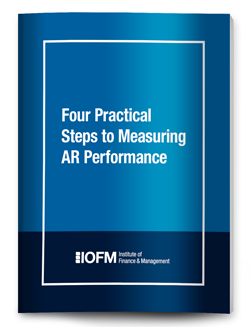 IOFM provides best practices for managing how you get greater performance from your AR. The Institute starts with benchmarking your current performance against your peers to identify where there is opportunity for improvement. And then it requires analyzing each step of the process from maintaining the customer master file, to order processing, to billing, to cash application -- and all the while keeping an eye out for fraud and abuse. It’s hard to convert performance goals into a business plan without knowing how much improvement is realistic. And measuring your performance and then benchmarking those results isn't easy or inexpensive. Learn the four steps to consider before measuring.